Earlier this year, the Florida Division of Pari-Mutuel Wagering opened an investigation after a greyhound named Flying Ambrose was apparently infected with Chagas disease. Chagas is transmitted through insects that exist in South America, Mexico and Central America, and rarely seen in the United States. State investigators were immediately concerned by the discovery of this disease in a racing greyhound in Florida and investigated the circumstances surrounding the dog. According to a state Investigative Report, Flying Ambrose suffered a broken leg at Naples-Fort Myers Greyhound Track on December 12. Confidential informants told investigators that three dogs, including Flying Ambrose, had been given to track veterinarian Dr. Hakim Hamici for euthanasia, but the dogs had instead been transported to volunteers in Sarasota. For some reason Dr. Hamici, who I have been critical of in the past, refused to publicly acknowledge this apparent good deed. Instead, he initially stonewalled investigators before ultimately stating that he had no record of Flying Ambrose ever being at his clinic. At the same time, he demanded to know the identity of a confidential informant. When the state approached greyhound trainer Kelly Everett, who was responsible for taking care of Flying Ambrose at Naples, Everett provided documentation which claimed that the dog had been "taken to the owners farm" in Kansas. When Everett was later pressed regarding this obvious false statement, he stated that he "could have made a mistake with his record keeping." 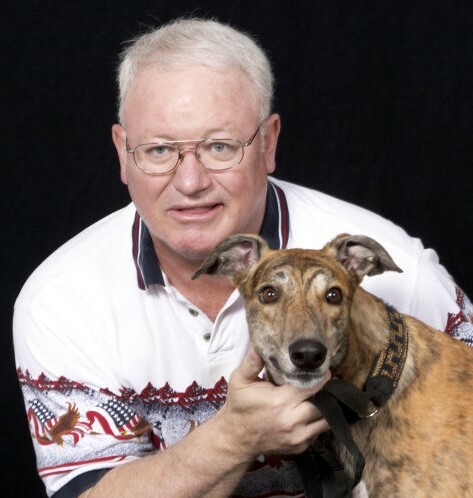 Meanwhile a state investigator contacted the registered owner of Flying Ambrose, a Kansas-based greyhound breeder named Vince Berland. 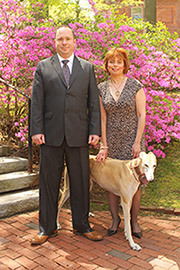 Berland is one of the most prominent greyhound breeders in the country, and in 2011 was inducted into the Greyhound Hall of Fame. Berland has also been accused of animal cruelty by former employee Roy Brindley, who claims to have personally observed a pit full of dead greyhounds on his property. INVESTIGATOR: "Good morning Mr. Berland My name & title is Investigator Supervisor Minaya with the Pari-Mutuel in the state of Florida. If you can please call me ... Important thank you"
VINCE BERLAND: "What do you need?" INVESTIGATOR: "This is involving an official investigation Mr. Berland and may I remind you that since you are a licensed you must cooperate or risk losing your license." VINCE BERLAND: "I'm not licensed. You are incorrect sir." INVESTIGATOR: "Your license is still active Mr. Berland." VINCE BERLAND: "Who do you think you are talking to? Do you have an actual question? INVESTIGATOR: "Mr. Berland all I need is 5 minutes of your time. I rather talk to you over the phone not through text messaging. If you choose to talk to me you have my phone number." VINCE BERLAND: "I'd rather have your threats and harassment in writing, Sir. I don't trust government." The Investigative Report also states that Berland "intentionally obstructed this investigation by refusing to cooperate" and indicates that a separate case has been opened against him. The state must hold Berland accountable for his actions and send a message to everyone in the industry that they cannot get away with thwarting official animal welfare investigations. Meanwhile, if the National Greyhound Association (NGA) were truly serious about policing itself it would also take action against Berland. I won't hold my breath, as the NGA has proven time and again that it isn't in the business of holding its members accountable. Instead, it covers up wrongdoing and prevents law enforcement from taking action against animal abusers. Great work, Carey. I'm glad this matter was brought to your attention. The breeder/owner and the NGA must be held accountable.